Joan Lee Williams Wilson, cherished wife, mother, and grandmother, died in Rogers, Arkansas, on Saturday, October 27, shortly after celebrating her 83rd birthday. Born September 30, 1935, in Detroit, Michigan, Joan was the daughter of Emmett Felix Williams of Stamps, Arkansas, and Hazel Lee Wynn of Cotton Valley, Louisiana. “Joni” grew up in Detroit but, by her own telling, “discovered life” and embraced a new identity as a southerner when her family moved to north Louisiana after her high school graduation. In 1957 she married Tommy Wilson, a quiet, handsome Bossier City boy, and together they raised three children in Monroe, where they made their home for nearly 50 years. With her special capacity for nurture and deep joy in life, she elevated every holiday, birthday, and special occasion into a celebration and comforted her family through sickness and tough times, always lending an ear and offering words of love, support, and encouragement. She was a devoted caregiver to her father and mother in their later years and welcomed three grandchildren into her loving world. 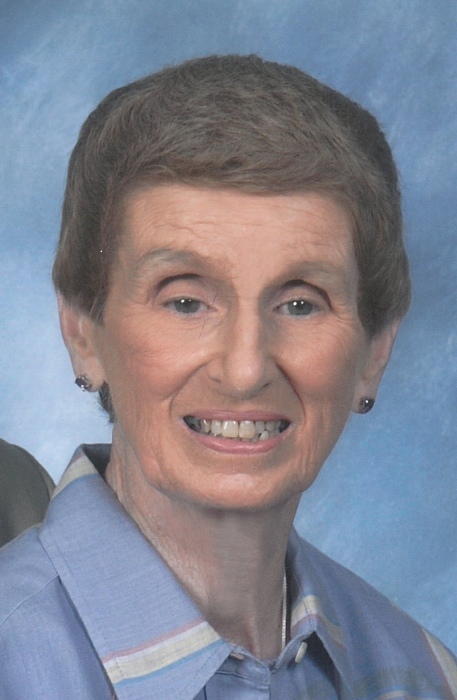 Her true talent was providing unwavering support and behind-the-scenes work on behalf of her family’s dreams and goals, from helping Tom run successful businesses in construction hardware to selling concessions at Neville High School football games as a band booster. Joan had a gift for making everyone around her feel loved and celebrated, even strangers she met in the grocery store and aides who cared for her in her final days. She loved to eat seafood, “talk hard,” shop, cheer on the Neville Tigers, and, especially, be surrounded by her family. She loved to laugh, and to make others laugh, at almost anything and until your stomachs hurt. She was dearly loved by all and will live forever in our hearts. Joan was a member of Graceminster Presbyterian Church in Monroe and Bella Vista Presbyterian Church in Bella Vista, Arkansas, where she lived for six years before her death, the last few under the loving care of her eldest daughter, Lori, and family. Joan is preceded in death by her beloved husband of 58 years, Thomas O’Donnell Wilson; her parents, Emmett and Hazel; and her older sister, Barbara Williams Davis. She is survived by her three children, Lori Hassion (John) of Bella Vista, Arkansas; Mindy Wilson (Michael Mejia) of Salt Lake City, Utah; Michael Wilson (Jennifer) of Denver, Colorado; three grandchildren, Kaylee Hassion of Denton, Texas; Graham Hassion of Bella Vista, Arkansas; and Grey Wilson of Denver, Colorado; and several nieces and nephews. Joan’s children extend their deepest gratitude to the staff of Promenade Health & Rehabilitation Center, Hospice of Northwest Arkansas, Comfort Keepers, and Ashley Health & Rehabilitation Center for the compassionate and loving care they gave her over the last two years of her life. Graveside services will be held at Forest Park Cemetery East, St. Vincent Avenue, Shreveport, Louisiana, at 1 p.m. on Saturday, November 3, with Rev. Bruce Rux of Graceminster Presbyterian Church officiating and Scott Flowers providing music. Memorials may be made to Graceminster or to St. Jude Children’s Research Hospital.